“Privacy is a fundamental human right. So when a woman enters into matrimony, it is the duty of the family members of her matrimonial home to provide her with some privacy.” the court said. 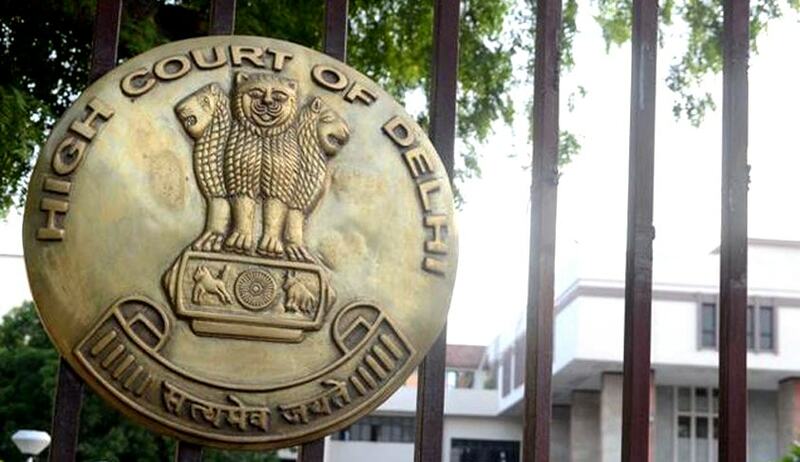 The Delhi High Court has dismissed a divorce petition filed by the husband (appellant) in Mini Appa Kanda Swami @ Mani v. M Indra under section 13(1)(ia) [cruelty and desertion] of the Hindu Marriage Act, 1955 (HMA). The bench comprising of Justice S Ravindra Bhat and Justice Deepa Sharma decided that the husband didn’t have substantial evidence to support the allegations of cruelty raised against the wife (respondent). In fact, it was him who proved to be cruel towards her and their son, thus under section 23(1)(a) of the HMA, he couldn’t have taken advantage of his own wrong and hence, his petition was dismissed by the bench. In this case, the husband alleged that the wife was not dispensing her duties as a wife, demanded a separate household for herself which he couldn’t afford since he worked as a labourer, was cruel towards him and his family, would abuse him verbally and physically and had even abandoned him for no reason. He also stated that he had never demanded any kind of dowry and whatever the wife brought with her, all those articles were returned to her. The husband submitted that he tried to talk to his wife and her parents but, in fact, they encouraged her to stay away from him and no conciliation could take place between them. The wife, however, countered all the allegations and stated that it was actually the husband who had been cruel towards her. She alleged that her husband had demanded for a dowry of Rs.1 lakh to buy a motorbike and as her family couldn’t afford it, she was ousted from her matrimonial home and never allowed to return. She further submitted that the husband had taken up a separate accommodation from his family members after marriage where he resided with her and their child for two-three days and then abandoned them to never return. The court found that the demand of the wife for a separate household was not unreasonable as the husband’s family resided in an accommodation where eight people were residing in three rooms, and a newly wedded woman can reasonably expect some privacy. “Privacy is a fundamental human right. So when a woman enters into matrimony, it is the duty of the family members of her matrimonial home to provide her with some privacy.” the court said. The husband’s counsel pled that the couple had been residing separately for 12 years and thus, should dissolve their marriage as there was no bond in it. However, the court relying on the para in the Supreme Court’s decision in K. Srinivas Rao vs D.A. Deepa [2013 (2) SCALE 735] which stated “Irretrievable breakdown of marriage is not a ground for divorce under the Hindu Marriage Act,” held that this reason could not be a ground for divorce. The court reproduced the finding of the Supreme Court in Vishnu Dutt Sharma v. Manju Sharma [(2009) 6 SCC 379], whereby it was held that a bare reading of section 13 of the HMA doesn’t specify ‘irretrievable breakdown of marriage’ as a ground for divorce, hence, the court had to deny divorce under this section as otherwise it would lead to an amendment in the Act, which the court didn’t have the jurisdiction on, and could only be done by the Legislature. The division bench also reminded the Supreme Court finding in Anil Kumar Jain vs. Maya Jain [2009 (12) SCALE 115] whereby the jurisdiction of the high courts in this matter was clarified by stating that the doctrine of irretrievable breakdown of marriage is not available to the high courts, lacking powers similar to those exercised by the Supreme Court under Article 142 of the Constitution. Thus, on the basis of the above findings, the court held: “This court thus lacks jurisdiction to dissolve a marriage on the doctrine of “irretrievable breakdown”. After taking into record all the evidence and above findings, the court dismissed the husband’s petition due to lack of merit.